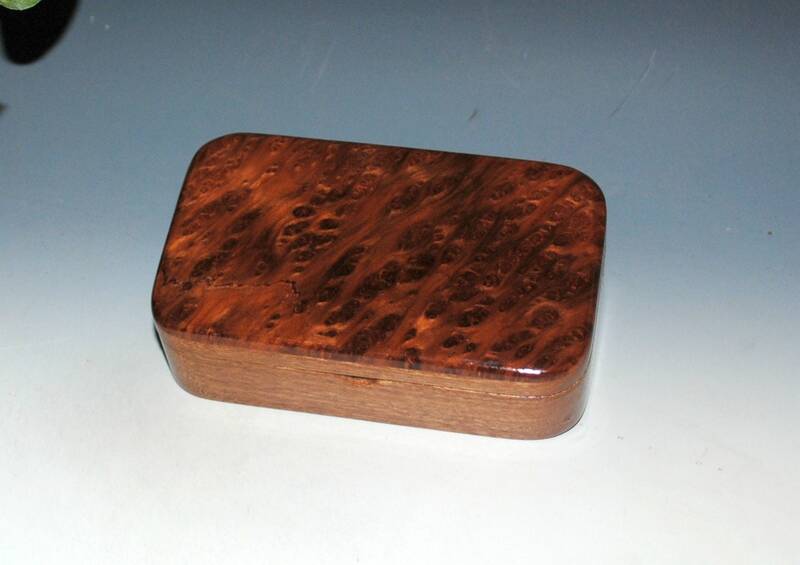 Wood Treasure Box of Mahogany with Redwood Burl - Handmade Small Wooden Box by BurlWoodBox - Great Gift For Anyone For Any Occasion ! 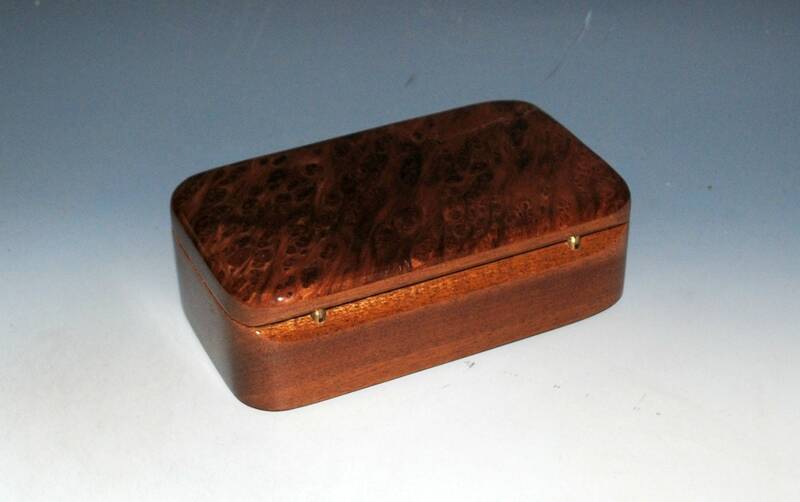 Handmade wood treasure box of mahogany with redwood burl by BurlWoodBox. 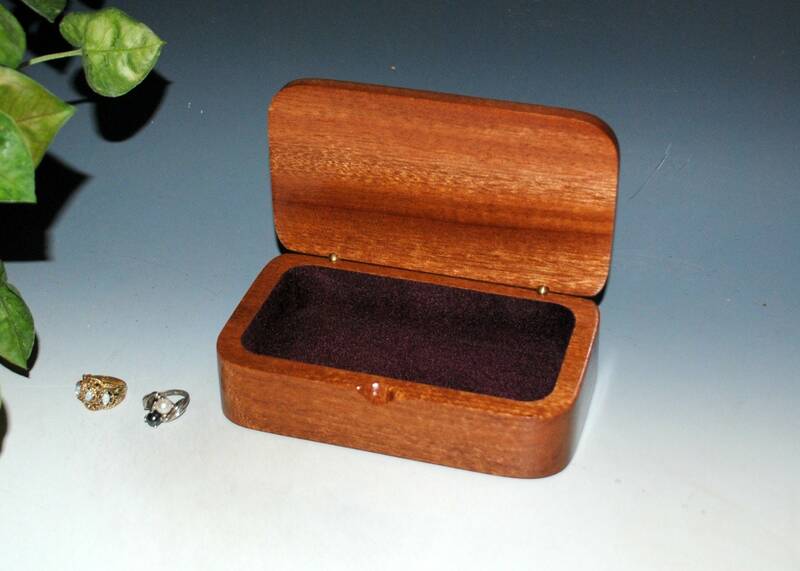 This small wooden box makes a great gift. 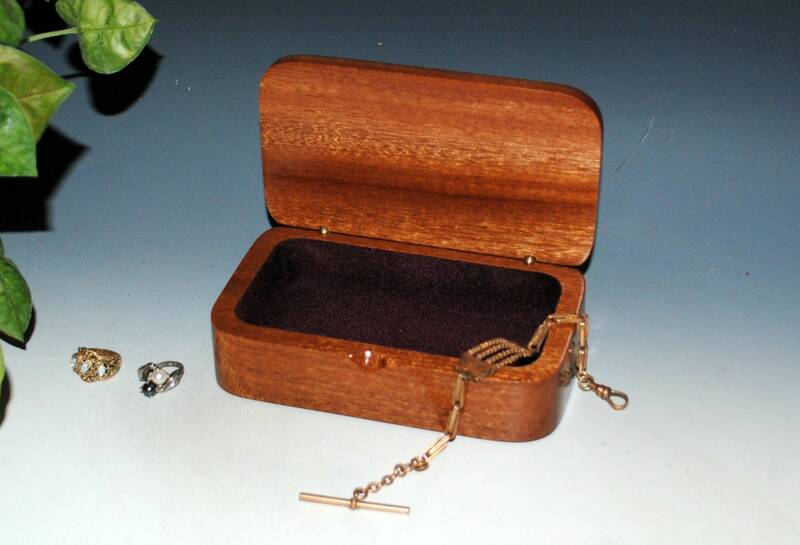 It can be used as a small jewelry box, as a keepsake box or on your desk. 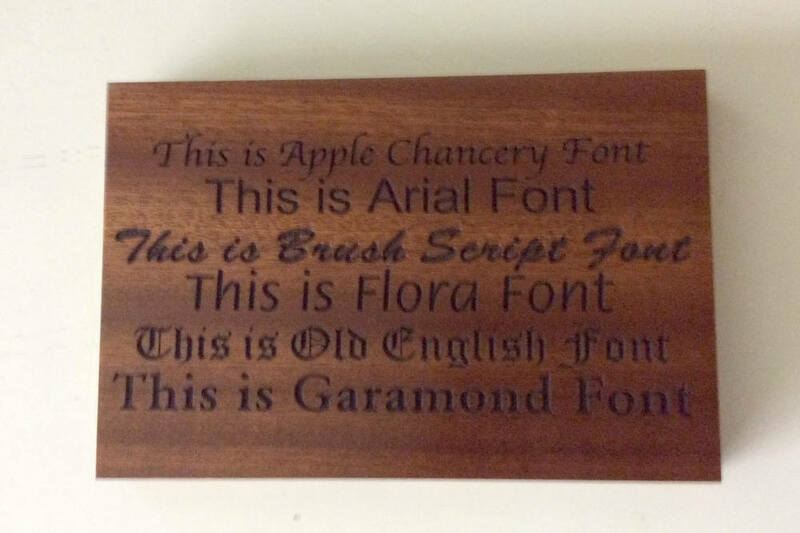 A great blended type wood combo. 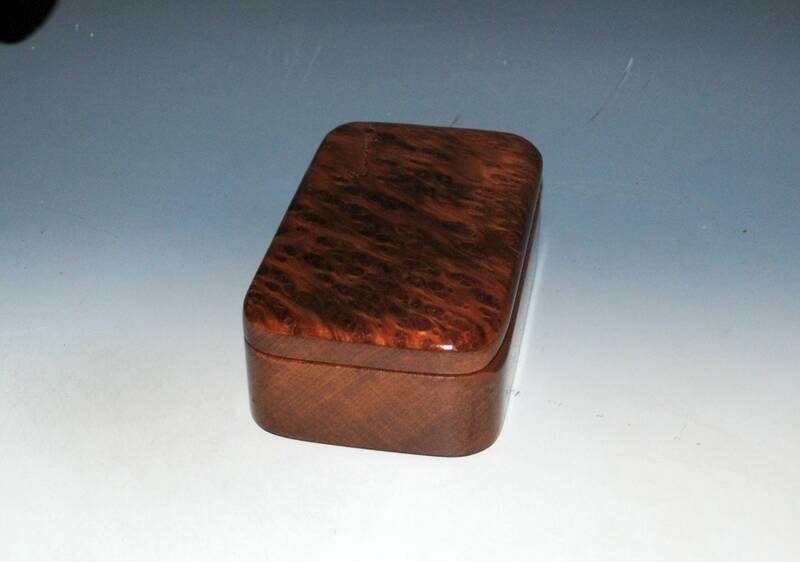 Equally popular with both men and women. 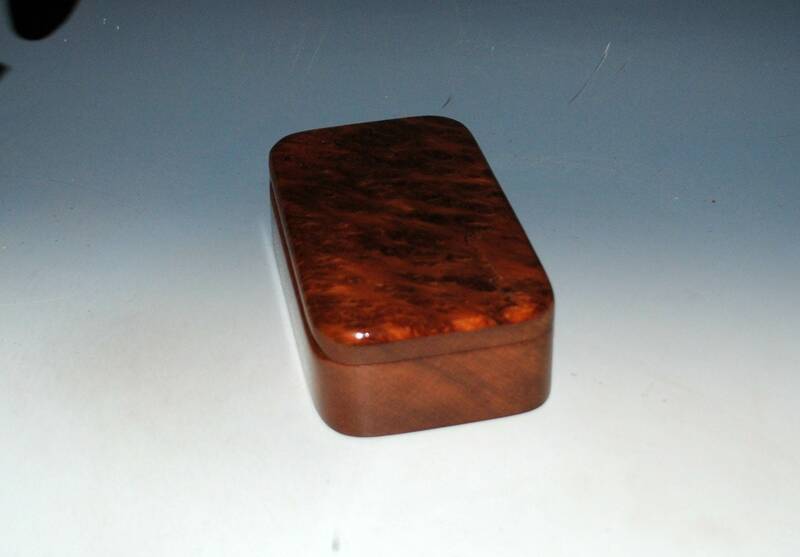 Finished with tung oil and undercoats of polyurethane. Shipping is via USPS First Class Package. 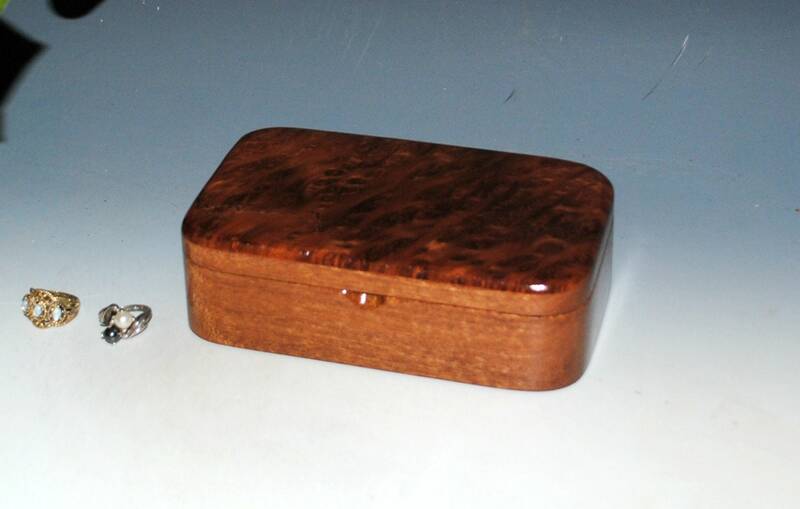 More of our smaller boxes at the following link. 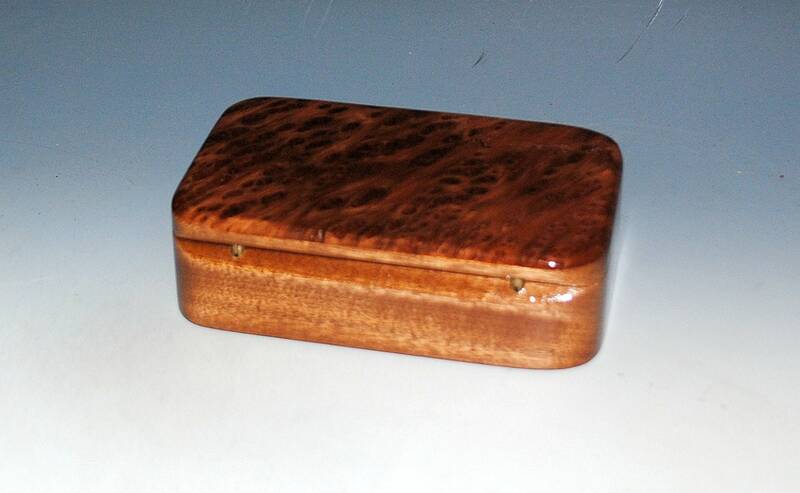 Other styles of our wood boxes can be seen at our home page, link follows. 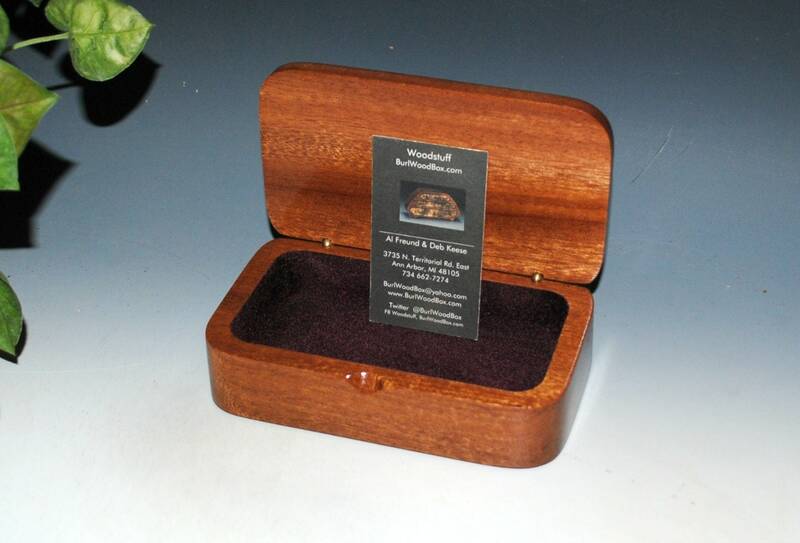 Gorgeous wood, gorgeous craftsmanship, fast shipping - more than happy!